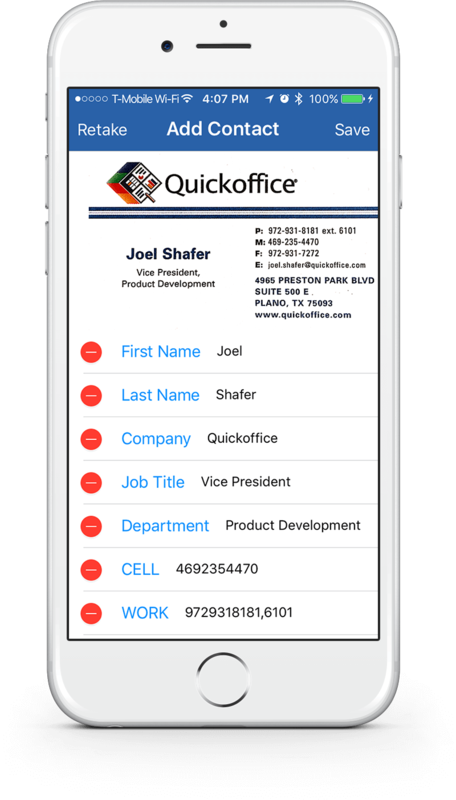 Convert business cards into Outlook contacts. Cards takes the chaos out of business cards. Never fumble through a stack of business cards again. 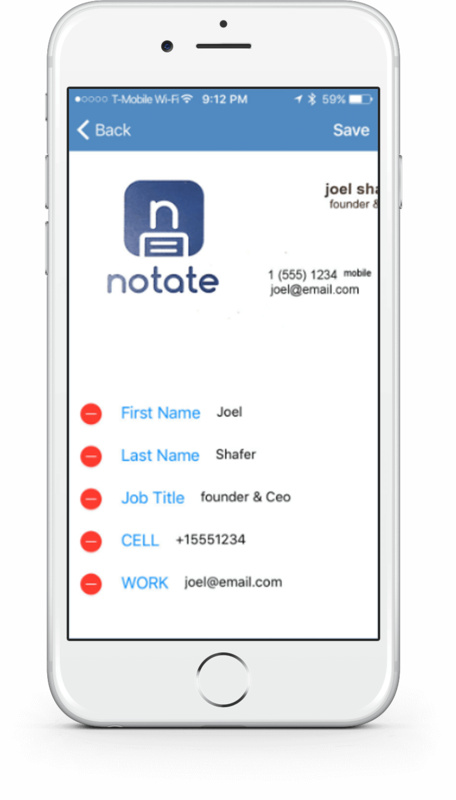 Notate Cards is part of the 4-app Productivity Suite. 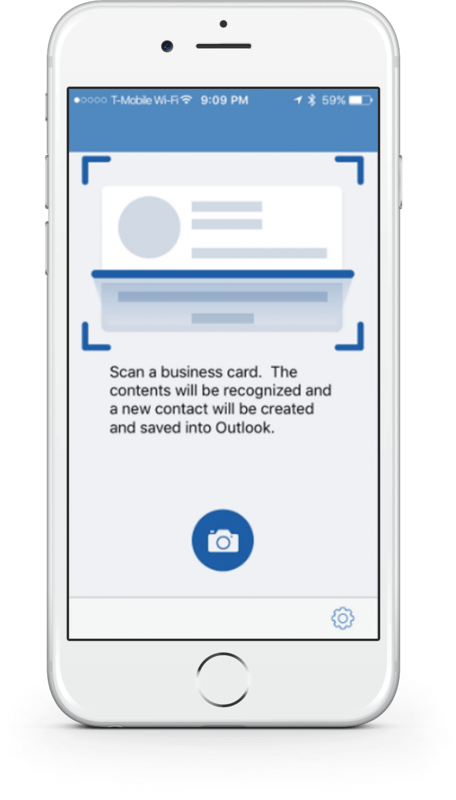 Take a photo of business card to save all the information into your Outlook account, recognizing 17 languages and working offline. Quickly enter business cards into the Exchange company database, generating highly accurate information. Never search through business cards again. 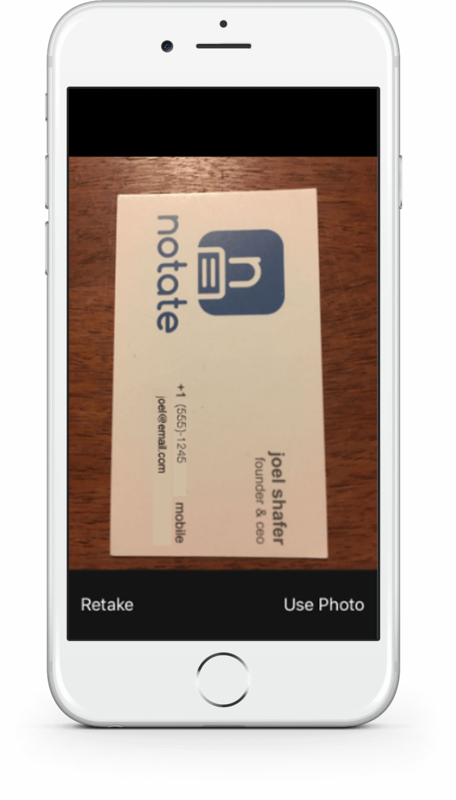 Scan cards using the camera on your phone. Resulting contact synced with Outlook. 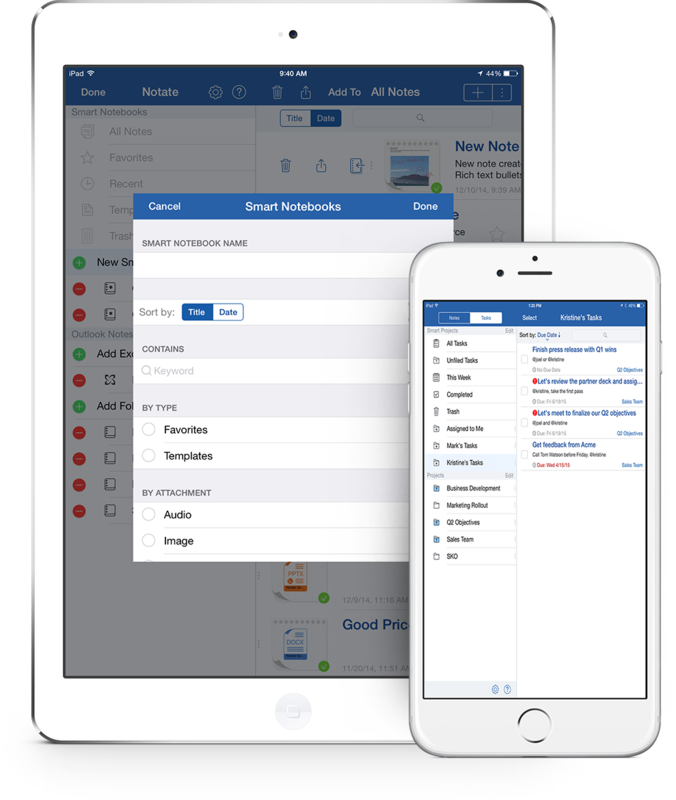 With just two taps, take a picture of a business card and have it automatically stored and synced as an Outlook contact. With Cards all your information remains secured within your own network. No additional servers are required. Business card data is secured with FIPS-certified encryption. No card information ever resides in the cloud and is instead synced and backed up via a secure tunnel to the corporate Exchange server. 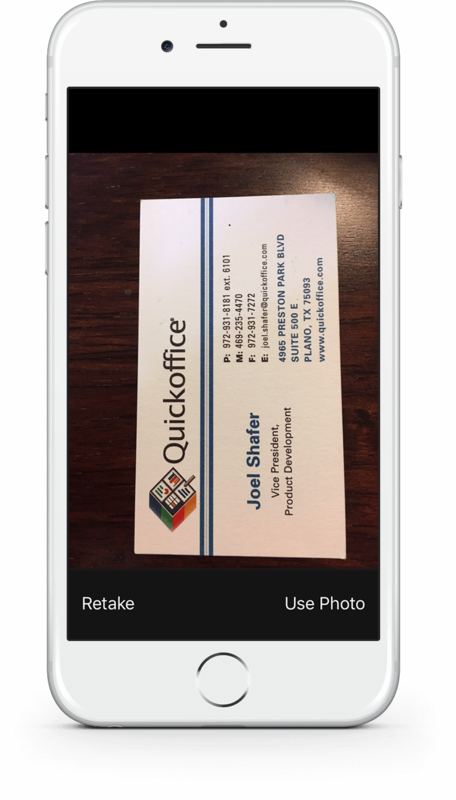 The next time you are handed a business card, simply scan and save, and never lose track of the contact again.